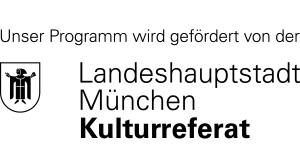 The University of Salzburg started offering the university course “Curating in the Performing Arts” at the beginning of 2017, with some modules held at Ludwig Maximilians Universität (LMU), Munich. Given the growth of a world-wide festival structure and the vibrancy to be observed in the creation of international theatre production sites and dance institutions since the 1980s, there has been a raise in expectations as to the professional demands placed on the conception and design of artistic programmes in performance and theatre. Even the publicly funded stages have taken to developing dynamic thematic focal points and periodic festivals – and this in addition to running fixed repertoires based on a stable ensemble. Yet there are hardly any qualified experts trained with view to the conception and execution of the new formats and event forms. Unlike in the US, where the Institute for Curatorial Practice in Performance was founded at Wesleyan University in 2011, there has thus far been no institution in Europe offering specialized curatorial qualifications for the analysis, conception, planning and execution of event programmes and formats in dance, theatre and musical theatre. Curating in the Performing Arts had been the first such course in Europe. Its focus on the theory, methodology and practice of curating in the performing arts is complemented by the practical application of the knowledge acquired. The course is aimed at professionals in the field and runs across two semesters. Based at Paris Lodron University, it includes modules abroad held at the Institute of Theatre Studies, LMU Munich. Leading representatives in event organizing communicate contemporary methods and competencies for the programming of festivals and as part of event and theatre institutions. Furthermore, they prepare the participants – as future festival makers, curators or event managers – for the complex conditions of an increasingly linked and globalized employment market. The next training course for professionals is conducted between autumn 2019 and summer 2020, spanning nine weekends (Saturday and Sunday) in Salzburg and Munich. Across six modules (including practical curatorial group work), it communicates and deepens knowledge of the curatorial fundamentals of programme design and event organisation in the performing arts.